Americans throw away 14 million tons of apparel each year, and that number is growing. In response, some outdoor industry veterans are tackling the piles of would-be trash to make rejuvenated gear. This week, national media focused on the environmental crisis of discarded clothing. Charities and take-back programs collect some old threads, but many are too worn or damaged to sell. Then they go in the trash. In that space between secondhand retail and the dump, a new market is emerging: repair, consignment, and upcycling. Upcycled Apparel: Next Wave Of Outdoor Retail? 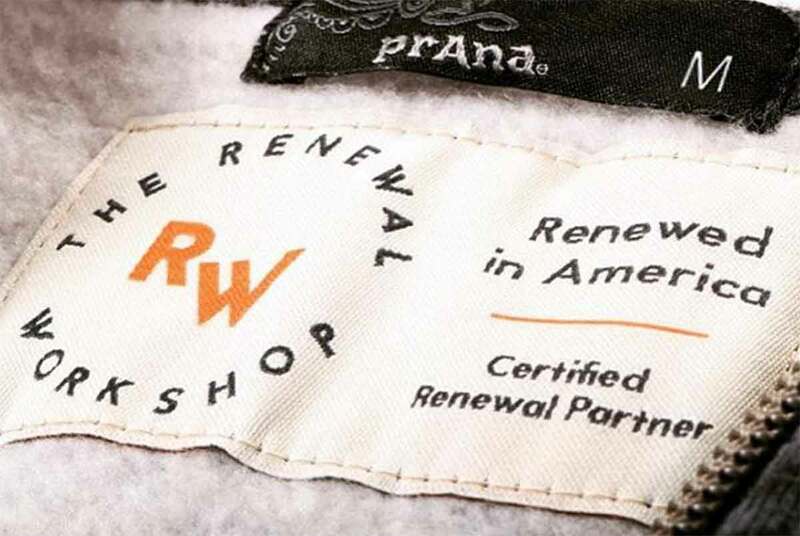 A startup repair facility called the Renewal Workshop accepts non-salable garments like returns and damaged goods. It washes, restitches, and outfits them with new buttons, snaps, and zippers. The goods are then sold at a discount. The fledgling brand is just over 75 percent funded on its IndieGogo campaign to raise money for more advanced machinery, but the small business is well on its way, with a building, factory operational, and partners in place. The project was launched by two industry veterans, one the former director of sustainability at Prana, the other a founder of the organic apparel brand PACT. 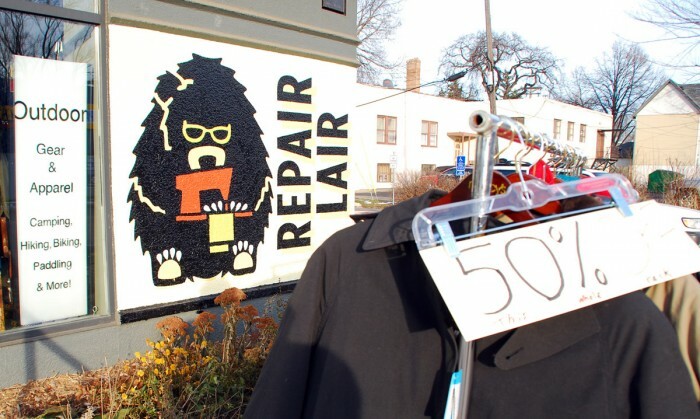 We reported earlier this year about Minneapolis’s repair and consignment store for outdoor gear, the Repair Lair. Now entering its third year, the cozy shop near the Mississippi River is a small-scale example of the Renewal Workshop’s national vision. A recent Newsweek story looked at “fast fashion” brands like H&M and Levi’s that have begun dabbling in more sustainable practices. It noted that only one-tenth of one percent of all clothing collected by local take-back programs is recycled into new usable materials. Currently, the push to keep gear out of landfills needs bigger buy-ins. The Renewal Workshop hopes to be the solution for big companies seeking to go green. The fledgling business already accepts materials and garments from Prana, Toad&Co., Ibex, and others to be rejuvenated as outdoor apparel. Upcycling is another trending market that gives big manufacturers a sustainable solution for damaged products. Colorado’s Green Guru and Oregon’s Looptworks are two of the nation’s largest outdoor gear upcyclers. The brands transform big manufacturers’ scrap materials, used truck tires, bike tubes, climbing ropes, and tents, into panniers, messenger bags, wallets, and more. Perhaps the greatest perk of the movement is its inherent connection to American jobs. From the four-person squad at Repair Lair to the factory workforce of the Renewal Workshop, the industry is rooted in domestic production. With an ethos of sustainability built into repair and upcycling, overseas manufacturing and labor isn’t an option. The gear may have originated far away, but its new life is remade, not thrown away, in America.